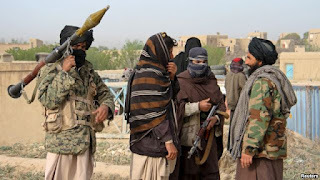 The leader of Afghanistan’s Taliban insurgency has endorsed political negotiations with the Kabul government and foreign countries to seek a peaceful end to the 14-year old war. Taliban leader Mullah Omar annually releases messages in connection with the Eid festival justifying the group’s war in Afghanistan, but Wednesday’s statement offered an unprecedented defense of the recent engagement with Afghan and foreign peace negotiators. The reclusive Taliban leader said the dialogue is a religiously “legitimate” strategy aimed at driving foreign troops from Afghanistan and establishing a “pure” Islamic state in the country. “Therefore the objective behind our political endeavors as well as contacts and interactions with countries of the world and our own Afghans is to bring an end to the occupation and to establish an independent Islamic system in our country,” Omar said. Mullah Omar’s statement came a week after Afghan government and Taliban delegates held their first direct talks in 14 years to discuss ways to end the increasingly deadly war. Neighboring Pakistan hosted what was being described as a “historic step” towards ending the conflict, though both sides acknowledged the talks were “preliminary” in nature. Chinese and American envoys also attended last week's meeting as "observers." Officials with knowledge of the talks say this was to ensure the commitments undertaken by the two sides are honored. Hours after Mullah Omar's statement, Afghan President Ashraf Ghani said the next round of peace talks will be held within the next 15 days, and the Taliban should come to the table with a list of their demands in writing. The Afghan leader did not say where the talks would take place, but expressed confidence the new round will lead to a sustained peace and reconciliation process. President Ghani's aide, Haji Din Mohammad, who attended the initial talks, said the presence of coalition forces was one of the three top issues the Taliban delegates discussed in detail. The other two were U.N. travel restrictions and treatment of Taliban prisoners, he said. No substantive exchange of proposals took place, Mohammad added. He explained that the Afghan delegation mostly listened to the Taliban’s point of view. The Taliban insists on withdrawal of coalition forces from Afghanistan, citing it as a major cause for its insurgent activities. But Pakistani officials say they would want the Islamist group to show flexibility on the issue of foreign forces. 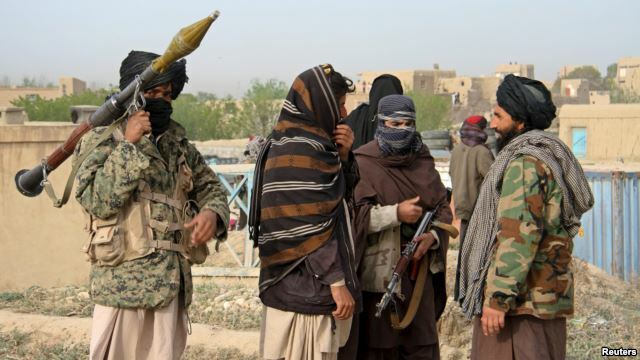 “If they (the Taliban) say that all NATO forces should leave, this is a difficult job and the Afghan government is not in a position to do that," a senior Pakistani intelligence official told VOA, on condition of anonymity. The “icebreaking” interaction had the immediate effect of granting President Ghani and his national unity government legitimacy in the eyes of all warring factions, according to regional analysts. Until now, the Taliban had primarily refused to engage in any peace talks with the government in Kabul, dismissing it as a product of a constitution the insurgent group insisted was drafted while the war-torn country was “occupied” by U.S.-led foreign forces. A total of one hundred major Indian companies created more than 91,000 jobs in the US by investing $15 billion in a wide range of sectors across 35 American States, according to a latest report. The southern State of Texas received the maximum ($3.84 billion) foreign investment from Indian companies followed by Pennsylvania ($3.56 billion), Minnesota ($1.8 billion), New York ($1.01 billion) and New Jersey ($1 billion), said the report titled "Indian Roots, American Soil" by the Confederation of Indian Industry (CII) and Grant Thornton (GT). More than 20 top lawmakers including Senators, John Cornyn and Mark Warner, attended the report released yesterday at the Capitol Hill. "As India surges forward to become the fourth fastest growing source of FDI into the US, it is critical that we recognise the positive impact of Indian business investments in the country," said Senator Warner, co-chair of the Senate India Caucus. A cornerstone of relations between India and US is the thriving commercial exchange between the countries, Warner said. According to the report, the top five states where the Indian companies have generated maximum employment are New Jersey (9300 jobs), California (8400), Texas (6,200), Illinois (4,800) and New York (4,100). The CII study draws attention to the growing contribution and influence of the Indian industry, which forms an important component of our growing and vibrant relationship with the United States, said Indian Ambassador to the US Arun K Singh. "Today Indian companies are not just investing and creating jobs, they have also become significant stakeholders in the growth and prosperity of their local communities," Singh said. Though Indian companies have made tangible investments in 35 US States, they are have physical presence in all the 50 US States, the report said, adding that the average amount of investment received from Indian companies per state was $443 million. 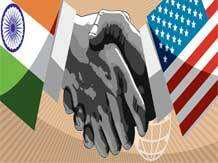 "The friendship between the United States and India has grown stronger over the past year. And both our nations are better for it," said Congressman George Holding, Co-Chair of the Congressional Caucus on India and Indian Americans. According to the report 84.5% of the companies plan to make more investments in the United States. 90% of the companies plan to hire more employees locally in the next five years. The US-India relationship is in many ways best exemplified through these Indian companies in America that have Indian roots, but are completely enmeshed into US soil, said Sumit Mazumder, CII president.